NEW YORK — Some teams can't kick about their kickers. Others might want to kick them off the roster after this weekend. With the rare exceptions of Indianapolis' Adam Vinatieri and Baltimore's Justin Tucker, there aren't any placekickers whose place in Canton, Ohio, is a topic of discussion. Even Vinatieri and Tucker missed kicks in Week 5. —Chris Boswell missed the extra point after the Steelers' first touchdown, the third he's missed this season. Boswell missed three in his previous three seasons with Pittsburgh. —Caleb Sturgis' PAT attempt after one Chargers touchdown bounced off the upright for his fourth miss of the season and third in the past two games. The sixth-year kicker has equaled the amount he had over three seasons in Philadelphia from 2015-17. —The Browns' Joseph clanked an extra point off the right upright, the third extra point missed by Cleveland this season. 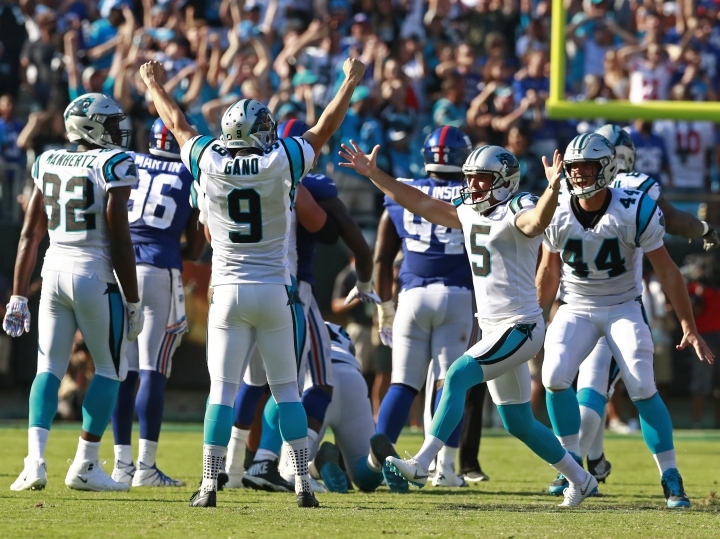 The rookie then pulled a 55-yard field goal left for the win with 5 seconds left in regulation before connecting in OT. —Tucker, the most accurate kicker in NFL history, had a 48-yard field goal attempt blocked by Cleveland rookie Denzel Ward on the final play of the first half. He made three kicks, however, proving he's still the league's most reliable. —Detroit's Matt Prater missed a 55-yard field goal, badly, sending the football way right. But the strong-legged Prater is one of the best long-range kickers around and holds the record with a 64-yarder for Denver in 2013. —This one is not kicker Stephen Hauschka's fault, and he was being celebrated later with a 46-yard field goal to lift Buffalo past Tennessee. But it was an example of the weird day kicking teams were having. —Not to ignore the punters, Atlanta's Matt Bosher had a kick blocked late in the third quarter when Pittsburgh's Roosevelt Nix bulldozed in. "I don't get this much attention unless it's really bad or extremely good," he said. "This one is unfortunately really bad. I'm going to have to really look at this one and this one hurts a bunch. I left a lot of points on the field for this team. "I look back and I'm thinking, in my childhood, in high school, this is definitely one of the worst ones and I'm bummed about that." What really bums out fans is when coaches play for the field goal. It's far worse in college, where the dependability of placekickers is shakier than Crosby was Sunday indoors at Detroit.